Sand Bath Hall “SARAKU” The Sand Bath Hall is located at seaside and has facilities with sunny open spaces that were designed to enhance the surrounding view. The Sand Bath Hall is nicknamed "SARAKU". In Kagoshima dialect, SARAKU signifies walking around. Also, the "SA" signifies sand and "RAKU" for happiness and relaxation. So，after taking a walk, for a happy time in the sand come and relax at "SARAKU". You can enjoy a sand bath at the water's edge when the weather is nice, the spring tide is low, and the condition of the sand is good. 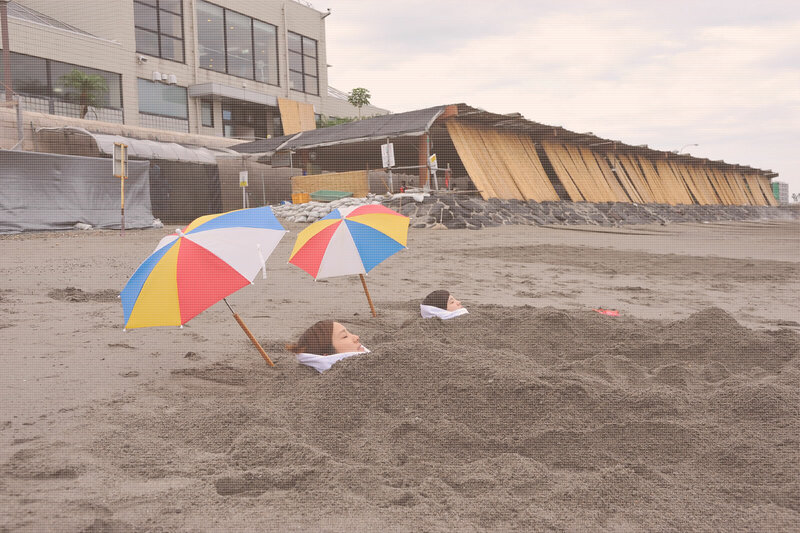 During high tide or rainy weather, you can also enjoy an all weather sand bath located on the shore. 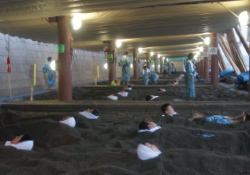 Not only is it the only natural sand bath in the world, the sand is infused with plenty of hot spring water that comes naturally from the beach. 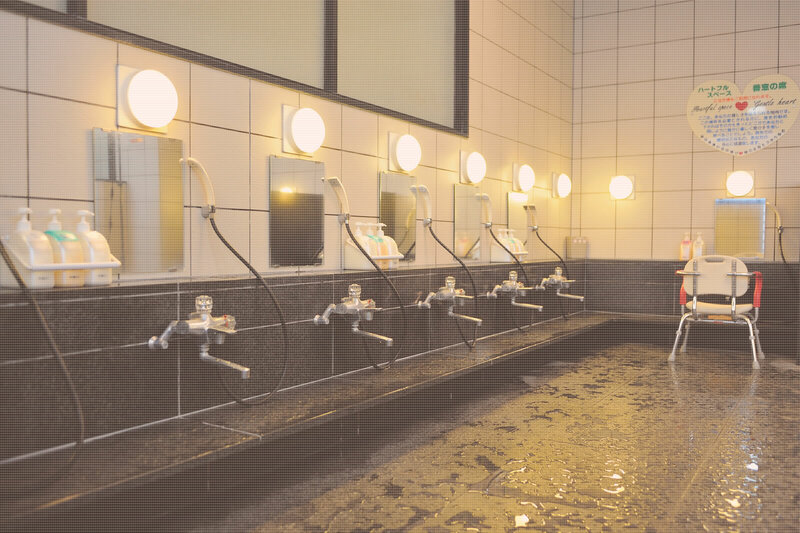 Sand Bath Hot Spring has become more popular amongst young ladies as a beauty treatment of the whole body, This has made it more popular as a Japanese style Sauna among foreign visitors. Please read before sand steamed bathing. Please take off your shoes at the entrance of the changing room and put them with your clothe into the locker(free). Women are not allowed to use the Sand Bath during menstruation or while pregnant. You are not allowed to use the Sand Bath after the consumption of alcoholic beverages. Sand Bath time should be limited to about ten minutes depending on peoples. The attendant will prepare your bed by digging into the sand while taking into consideration the depth in accordance with temperature. If you still hot, please tell to the attendant. Because prolonged exposure to heat may sometimes cause a low temperature burn to the skin, care should be taken to prevent injuries. This facility accepts absolutely no responsibility for any patrons injured due to misuse of the Sand Bath.